Building a strong team is both possible – and remarkably simple. When you are able to give your team the tools to work through issues that every organization faces, you are able to set them up for success. You are able to reduce turnover. And you are able to directly impact your organization, your team and yourself in a good way. The good news is…we can help you to get there! How? 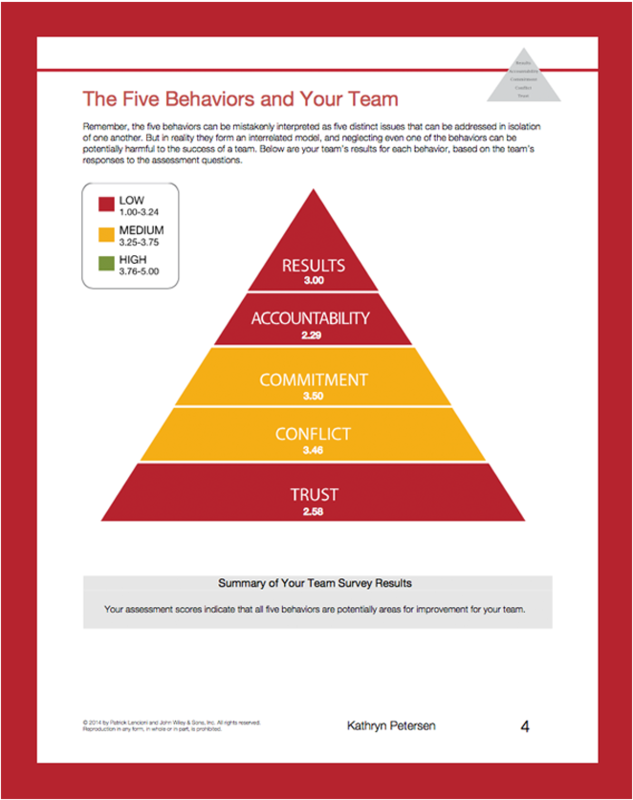 The first step is to find out where your team’s strengths and weaknesses lie with a proven team assessment model, The Five Behaviors of a Cohesive Team. Participants will learn how, as a team, they score on the key components of the model: trust, conflict, commitment, accountability and results. 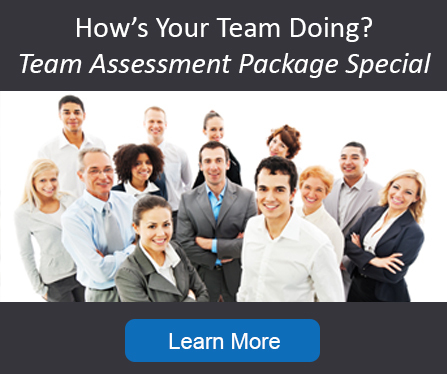 Team Culture Questions, which address broad aspects of the team culture. 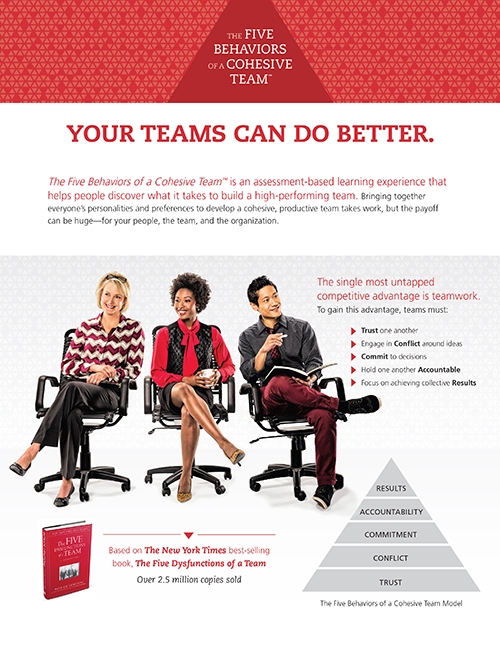 The result is a 36-page, in-depth profile that provides both individual and team feedback. We will use these results to deliver a program that is highly customized to the unique needs of your team and your organization, that will equip your team with the tools they need to become a productive, high-functioning team. Five Half-Day Sessions providing a deep study of the team behaviors including engaging in healthy conflict, fully committing to decisions, enabling accountability and focusing on achieving collective results. Team Coaching Session, delivered several weeks after the last half-day session, providing situational exploration of the team’s behaviors and how the team is making new habits sticky. 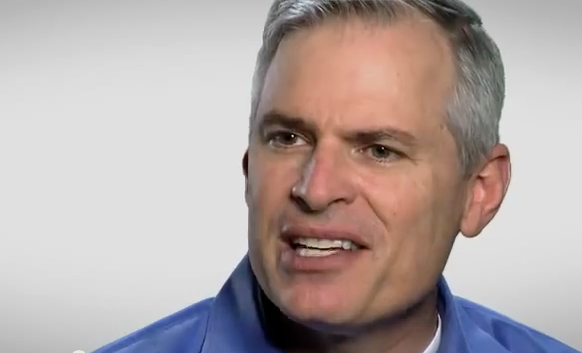 What do you do when your patients are happy…but your hospital staff isn’t? A healthcare leader at one of “America’s 50 Best Hospitals” turns to The Five Behaviors of a Cohesive Team to transform a diverse department into a healthy team. Read the success story of this Fort Myers hospital. Robin Perry recently led the leadership team at the Alliance for Positive Health through the process. Click on the video to hear what they had to say. 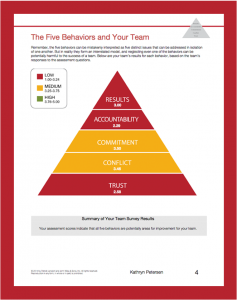 Let us contact you about bringing The Five Behaviors of a Cohesive Team™ to your organization!